Other than pokémon, pikmin, and chao, all of your little pets, summons, tag-along friends, comrades that fight alongside you, and the like are to be listed here, if you have any. If you do have any, they will have to be approved before they can be used in Houcm. Remember to read the Guide to Allies, since they are a part of your character. All stats are shown in %s of AVG. These are not on an ally scale because Aeons are effectively the active character when they're out, since Noah becomes limited to just normal, physical attacks. All totals will come out appearing to be gimped to compensate for ailment immunities and the fact that Noah can still do something. No Aeons or Espers have CH unless otherwise specified. All Aeons and Espers have infinite PS. Their minds do not come into play; Aeon actions come directly from the will of the respective summoner, while Espers run on specific scripts at all times. All spell animations are the same as Noah's unless otherwise stated. This vid shows all Aeon summon animations and Overdrives. Note that Valefor first shows Energy Blast (the stronger Overdrive), then Energy Ray. Animations of special abilities are under each Aeon. All Aeons have “Boost” and “Shield.” Both abilities require the user to lock into them for 10 seconds relative to the user (Haste multiplies time passage by 1.5, so it takes 6 and 2/3rds seconds with Haste. Slow halves time passage, so it takes 20 seconds. ), disabling any other actions from being taken. During Boost, damage to the Aeon is multiplied by 1.5, but Overdrive charges are multiplied by 2. During Shield, damage is multiplied by 0.25, but Overdrive charges are totally negated. The animation for Boost involves the Aeon appearing to cringe or hunker down for a moment while red, glowing orbs appear and swirl into it, then reverting to a normal stance. Shield's animation involves the Aeon guarding itself and, as the move is initiated, a round shield of blue, semi-transparent hexagons appearing in front of it. Using them can be convenient, even instrumental to success, but it's a high risk, high reward situation, to be sure. They also innately have “Sensor,” a passive ability that puts a magically-generated, semi-transparant (so as not to obstruct any actual view) info box into the views of the Aeons and their summoner. It gives targeted units' names, elemental resistance levels, and Levels, if any. If the target has basically any immunity to scanning whatsoever, it shows nothing. Valefor: Heavily reliant on speed, Valefor specializes in fleeting, accurate talon strikes, metaphysical sound blasts from her wings, and concentrated blasts of orange, energetic magic. Valefor's attacks are all non-elemental. Sonic Wings is negligibly weaker than a normal, phy attack. In addition to the brief charge time that you saw, there is a 0.4-second action delay on Valefor after using it. Aside from being a projectile, its benefit is that it has an increased flinch factor, often allowing its delay to be outweighed by the delay on an enemy so that Valefor can easily chain into another attack. It's physical. Energy Ray deals damage. Energy Blast deals more damage. They have 2-second and 5-second action delays, respectively. Energy Ray is technically more efficient, but Energy Blast has a circular area to work with, and the power boost may be enough to finish an opponent off, so it's generally the preferred method. By the way, Energy Ray's resulting blasts affect a much greater vertical area than they appear to, about 2.3 times the appearance of the blasts. It's not exactly anti-air material, but it makes simply out-jumping the attack very hard. Both are magical. Valefor presently knows Heal, Cure, Mend, and Medicate. Espers will seem to be gimped in comparison because they don't take up most of Noah's capacity to act. 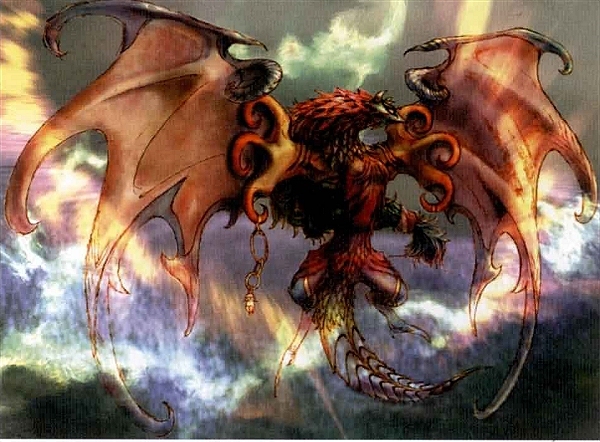 Belias: Belias, the Gigas is the fire Esper. With four arms and ram-like horns, you would expect greater reliance on physics, but he's actually negligibly better with magic. All of Belias' attacks are fire-elemental except for normal, phy attacks. Painflare is a magical attack. A surge of dim fire generates at the foe's core and grows outward and mostly upward. Because it originates from the target's core and occurs at the same speed as Belias' normal, phy attacks, it's a bit hard to evade unless you know that it's coming, in which case it's pretty easy. The damage doesn't “detonate” until the fire smolders out. It's the whole animation that takes as long as a full swing of Belias' staff. Belias has to aim at least one hand at you or move his hands outward to use magical attacks, making them a bit more predictable. Though Painflare has no cost, its predictability, slowness, and the fact that its power factor is just under that of a normal, phy attack make it less impressive than it could be. On the upshot, it has a nice range of 36 meters by default. Doomscorch (Not Hellfire, remember?) inflicts heavy, magical damage. It will target the enemy with the highest HE. Its default range and radius are equal to Painflare's range. It requires four seconds to charge. While it is very powerful (almost double Painflare's power) and affects a nice area, remember that Quickenings cause immediate dismissals of the Espers afterward and thereby only occur under specific conditions. Again, refer to the script list. Fire, Fira, and FeyFire are already available to Belias. 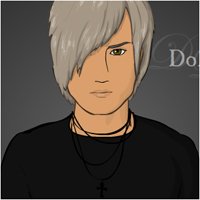 An additional spell level will be added with each of Noah's Level-ups. Belias has a special effect: Whenever casting Firaja (Adding a prefix to it doesn't change this.) or GrandFire (Adding a suffix doesn't change this. ), roll a twenty-sided die. If the result is 7 or less, all struck targets are afflicted with the Oil status, which, quite obviously, means that they're about to have a serious fire problem (as in around triple damage for someone of Belias' size, but the size of the foe changes how much oil is there). Phantoms are on an ally scale. They have infinite PS, effectively 0 MS (again, basic instincts at all times except for Noah's previously mentioned ability to slightly influence them), 0 MA, 0 CH, 0 HE (again, disrupted out of reality by anything that would damage them), no DEF, no RES, and, as of yet, no MAG. STR and SPD are each above average with a slight variance. It's totally random; a Phantom may be anywhere from significantly above AVG STR and SPD to somewhat above AVG STR and SPD. The stats do not correlate or have set intervals of variance. That's a lot to read through. Thanks for taking the time to write it up. Valefor is my favorite. Last edited by GarretLo on Mon Oct 23, 2017 2:38 am, edited 2 times in total. Thanks! I'll be redoing a lot of this soon enough. I've unfortunately been totally swamped as a 24/7 caretaker for my dad, so, while I haven't exactly been on hiatus, a lot of things that I really want to do have been on the back burner for far too long . . . You're a new face! Have we met? Don't worry. Both the YT links are working. Thanks for the edits. Thanks! I'll be redoing a lot of this soon enough. I've unfortunately short piece on d bal max been totally swamped as a 24/7 caretaker for my dad, so, while I haven't exactly been on hiatus, a lot of things that I really want to do have been on the back burner for far too long . . . You're a new face! Have we met? Were you able to complete some more? I too had to take care of my mon a couple of years back, and it felt so good to be able to help and support her.